Many first time Disney World tourists are aware that Toy Story Midway Mania, Soarin’ and Space Mountain can have long lines and they plan accordingly to use Fastpass. Perhaps the person did a bit of research a discovered that Rapunzel and Tiana can have long lines too. Many tourists are not prepared for the lengthy lines they will experience for the “furs.” Furs, what are furs? Disney World fans divide characters into two categories: furs and faces. Furs are the hugable plushy characters like Winnie the Pooh, Tigger or even Phineas and Ferb. Face characters are those that you meet in costume with a human face like Cinderella, Mulan or Cruella De Vil. In order to make your waits short to meet Furs, be sure to arrive about 5 mintues before their first appearance time listed or 10 minutes before they return from their break. For flag pole characters like Pluto and Daisy, I’d get in line at 1:00 pm, because you’ll want to either meet Rapunzel or ride Dumbo first thing in the morning at 9:00 am. To meet Woody or Buzz arrive 10 minutes before their first arrival time or you’ll wait in lines that can top 60 minutes. 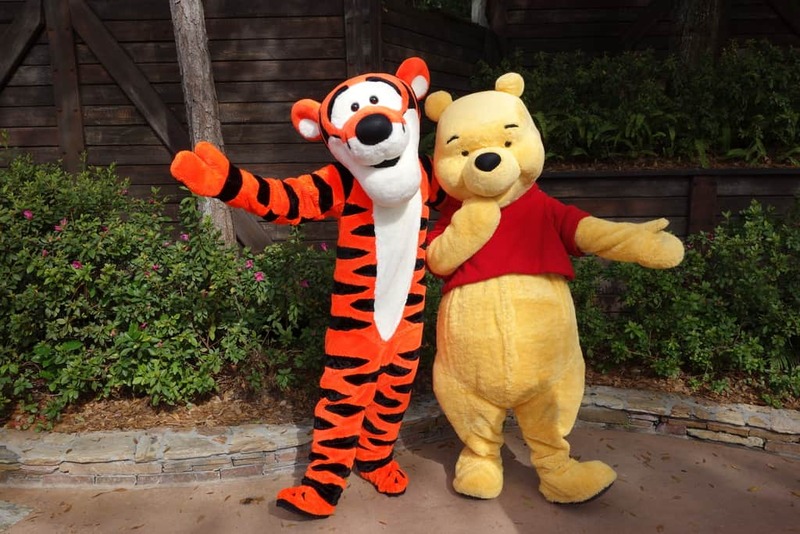 I’ve observed tourists waiting in line for Pooh & Tigger at the Magic Kingdom for up to 75 minutes in the heat of the sun!